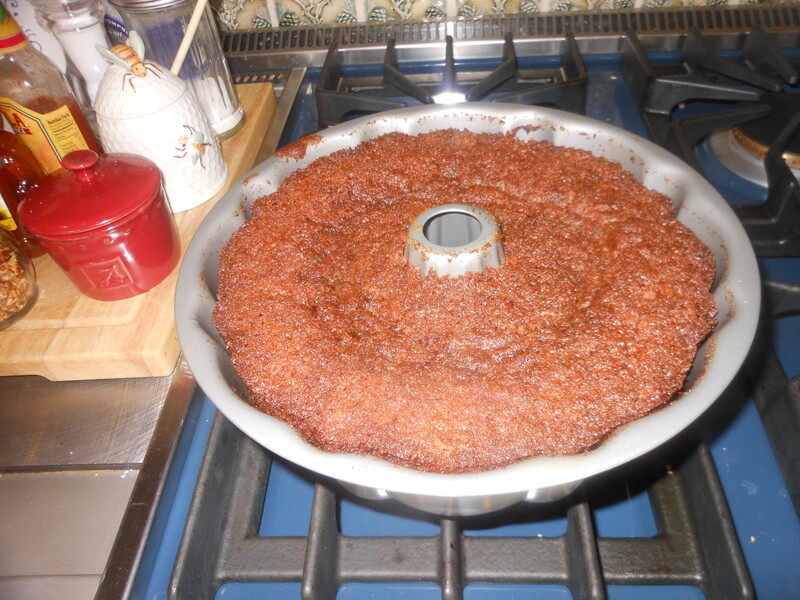 I always call my friend Susan the Queen of the Bundt Cake. It certainly seems to be her calling, as she is always coming up with new and delicious Bundt Cakes for all of us to try. I just hope I do her justice in trying to duplicate it. She made this cake for everyone last New Years and I have been wanting to try it ever since. I had to change one of the ingredients because I bought chunky applesauce instead of plain applesauce. Of course, if you’re so inclined you can make your own applesauce (I wasn’t so inclined today!). The original recipe hails from The Silver Palate, and I have to say this is one cookbook you don’t want to be without. There are so very many wonderful recipes in it. This cake has a slightly spicy flavoring, and is just so darn good. I am very happy to report that this cake came out awesome! Super Delicious with the chunky applesauce. Very moist and delicious, cooked perfectly at 1 hour and 10 minutes. 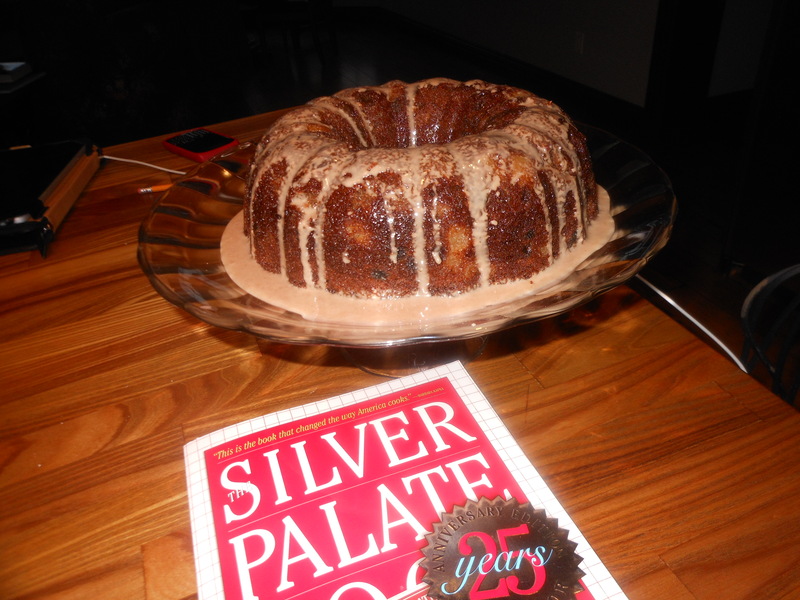 Thanks Suki and the Silver Palate! 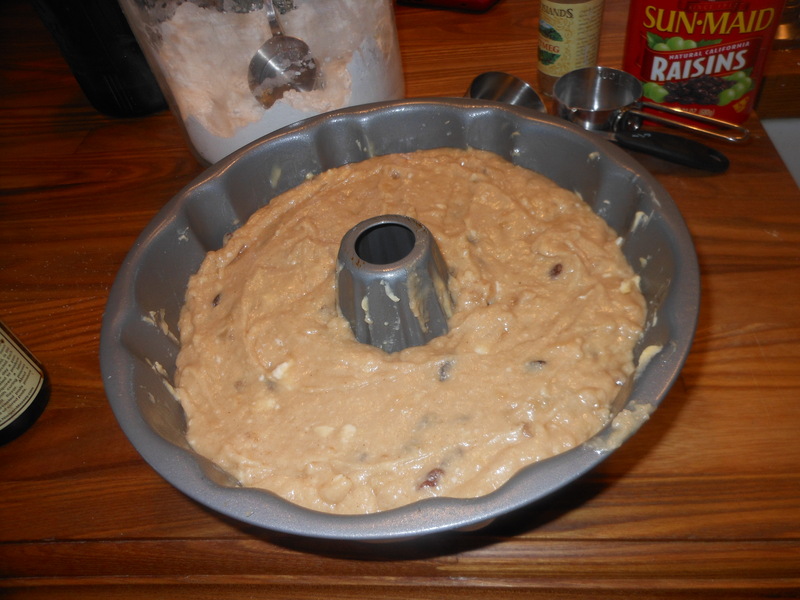 This cake can be a wonderful addition to your holiday table, applesauce and raisins just so perfect for Rosh Hashana. 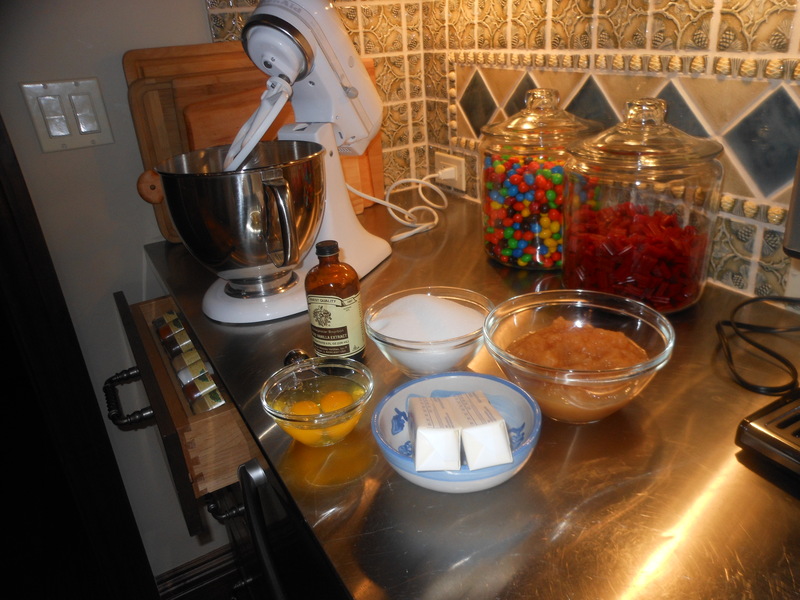 This entry was posted in Baked Goods, breads/cakes, Cake, dessert, Holiday, Holiday Recipes and tagged bundt, Homemade Applesauce/Raisin Cake, jewish baking, jewish cooking, Jewish Holiday cooking, Rosh Hashana, Silver Palate Applesauce Raisin Cake, spicy homemade bundt cake. Bookmark the permalink. Bundt cakes are my favorite to make! They’re infinitely forgiving!